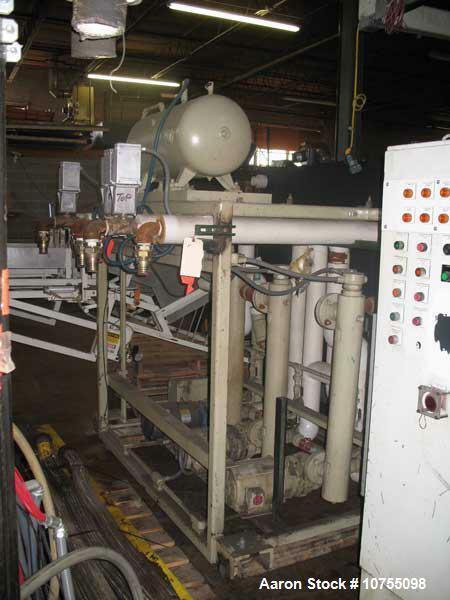 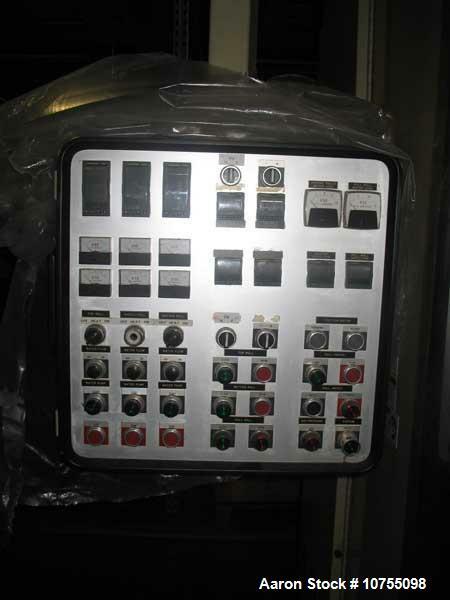 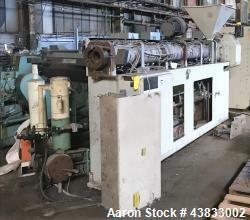 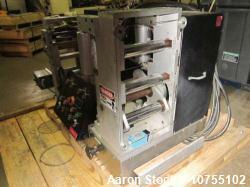 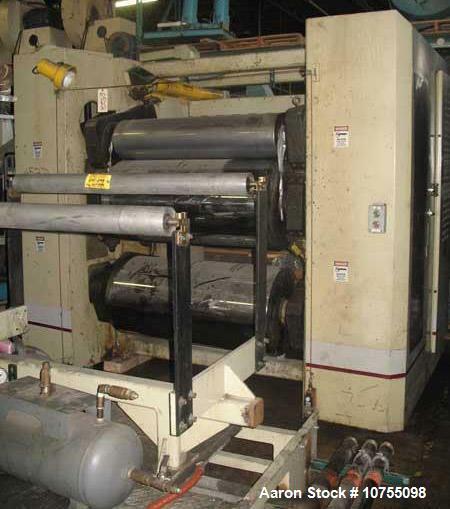 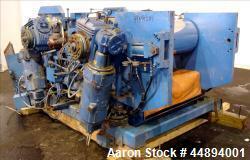 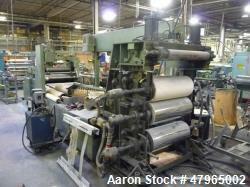 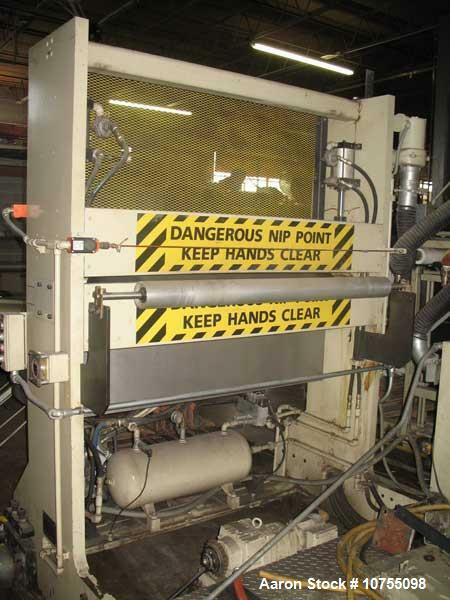 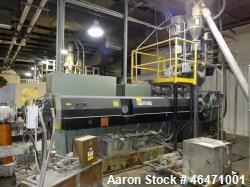 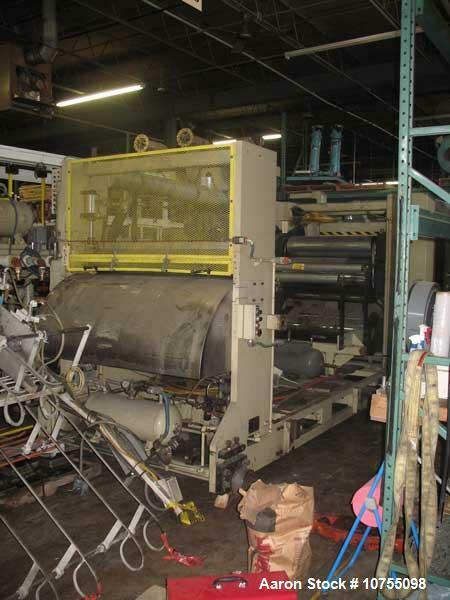 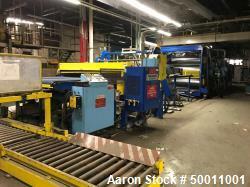 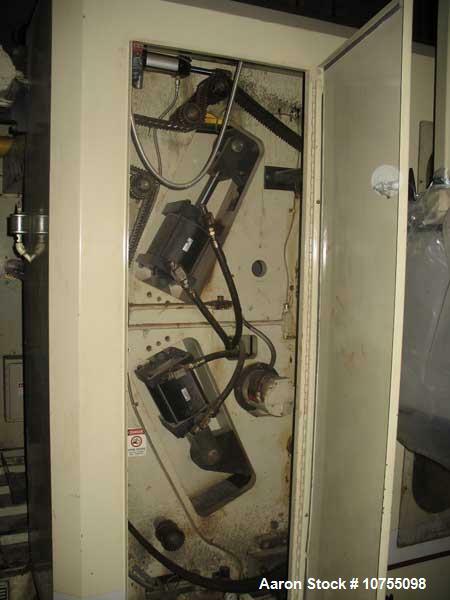 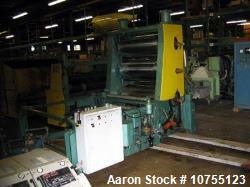 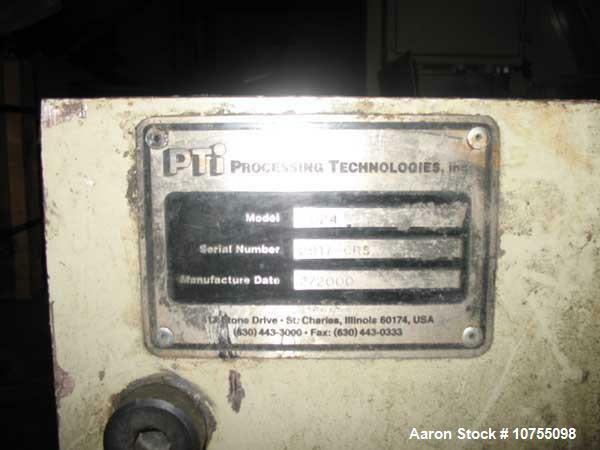 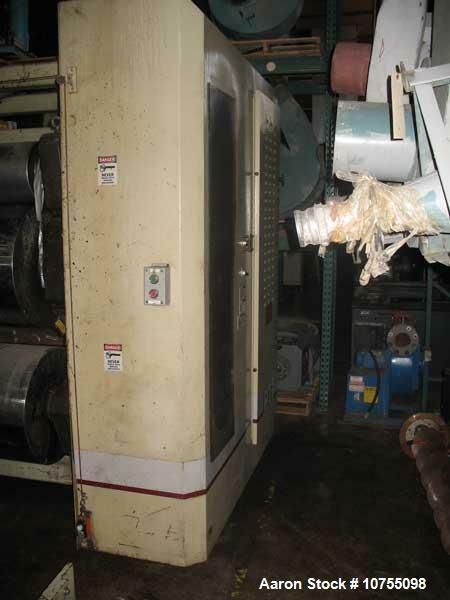 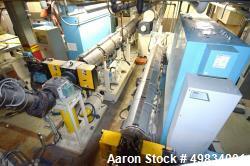 Used-Processing Technologies Inc Model 5024 3 Roll Down Stack, manufactured 2/2000. 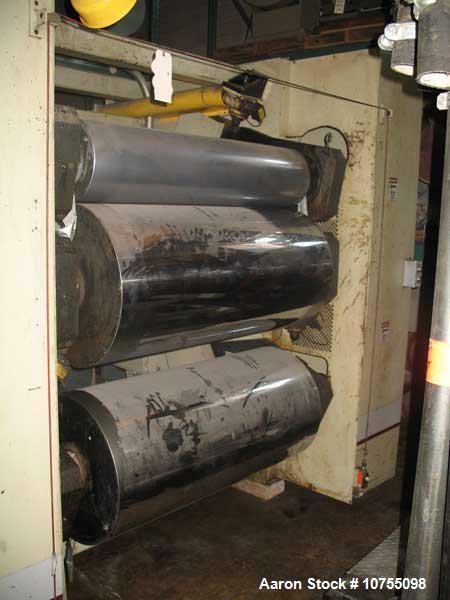 24" Diameter x 50" wide lower 2 chrome rolls, upper roll is 12" x 50", all chrome rolls cored for cooling, rolls are hydraulically operated and powered by a 7.5 hp DC motor via silent chain drive. 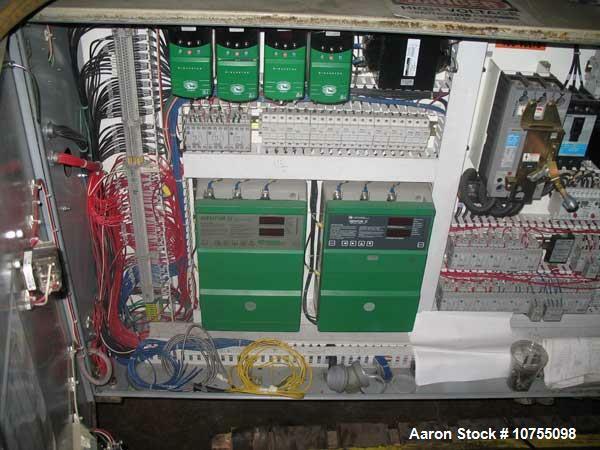 Control Techniques Mentor II DC drives for stack and pull roll station, pull rolls pneumatic operation and powered by a 5 hp DC motor. 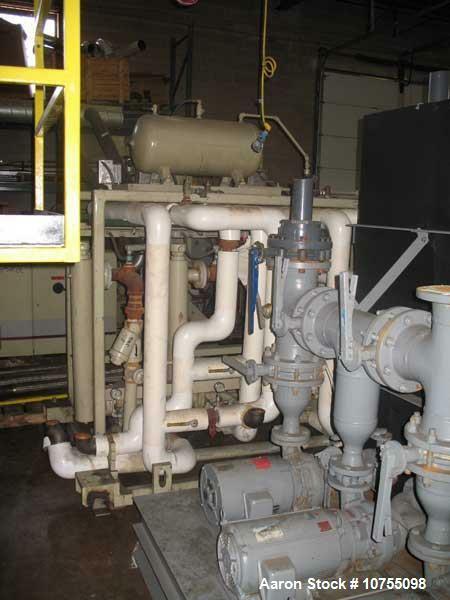 Cooling via 3 x 10 hp pumps into heat exchangers.